Can we, as true Republicans, finally relax our stance and begin trusting the Swamp Establishmentariat? There is no love lost between the RINOS in Congress and in state houses the nation over, but that doesn’t mean that we should merely acknowledge that fact and move on to the next subject. These RINOs have no intention of slowing down when it comes to attempting to infringe our rights as citizens of the United States and they will certainly not do so with a bullhorn. The way that Swamp RINOs work is always in a cloak-and-dagger type maneuver. They are not used to losing and, after the election of Donald Trump, they realized with some shock that they weren’t as powerful as they once thought. In fact, the whole Judge Roy Moore affair (from the Swamp RINOs’ point of view) is a pivotal moment. They were not able to sway that vote their way, even after conniving with our president to have him stump for their Establishment candidate. Despite Trump’s endorsement of Mitch McConnell’s BFF, the people saw right through what the Senate Majority Leader was trying to do by getting a crony elected and back Moore instead. This showed them once and for all that their tactics had to be more clandestine in order to work. 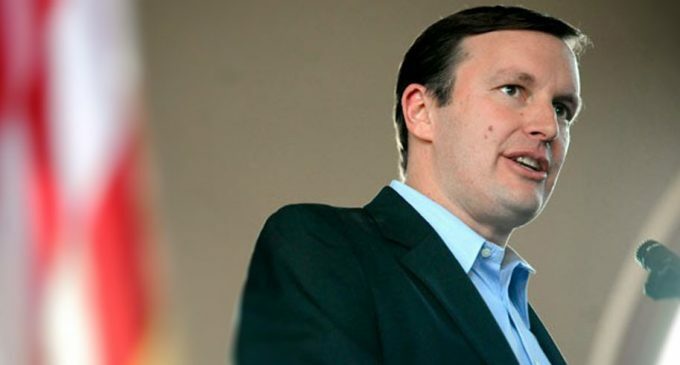 Senator Chris Murphy of Connecticut took to Twitter to tweet out that there was a slew of Republicans who were just on the cusp of caving into the gun control fanatics on the Left! Turn to the next page for the reveal of these names and how they fully intend on mitigating the 2nd Amendment rights of the American citizen in order to play right into the hands of the Democrats and their lackey press! If true, we’ll have to vote those pussies out. You bunch of traitors!grow a backbone and stand up for the people who put you in office! 9 more traitors. Need replaced. Ratification of an amendment takes three-fourths of the states to approve. The Amendment process is the formal way to change the Constitution. Good luck with that.